tion open to all authors who have a book featuring supernatural characters, terrifying tales, haunted homes, wicked or wonderful witches, vampires, werewolves, demons and more. 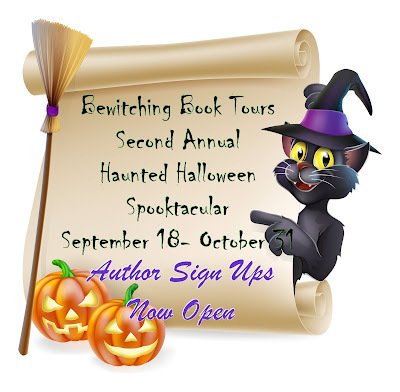 If your book has paranormal elements, spooky settings, or is a terrifying tale of horror join us for Bewitching Book Tours Haunted Halloween Spooktacular. To participate you will need to provide details for one book you wish to promote including a high resolution jpeg of your cover and an excerpt. You will also need to provide a Halloween theme guest blog or a short Halloween flash fiction story. For the Facebook Party you will need quizzes, games and a few prizes for your author party block.